2 x 120 W RMS Amplifier High-efficiency amplifier for demanding installations The AS seri..
2 x 200 W RMS Amplifier High-efficiency amplifier for demanding installations The AS seri..
2 x 300 W RMS Amplifier High-efficiency amplifier for demanding installations The AS seri..
2 x 500 W RMS SMPS Audio Amplifier This series features powerful and light amplifiers. 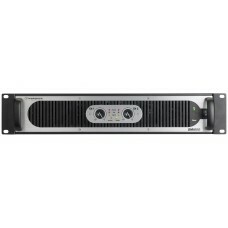 Pe..
2 x 750 W RMS SMPS Audio Amplifier This series features powerful and light amplifiers. 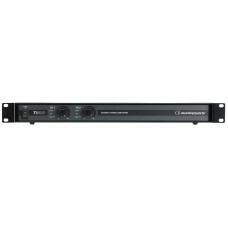 Pe..
2 x 300 W RMS SMPS Audio Amplifier This series features powerful and light amplifiers. Pe..
4 x 150 W Amplifier The perfect music of silence When silence is a very important factor,..
2 x 150 W Amplifier The perfect music of silence When silence is a very important factor,..
2 x 250 W Amplifier The perfect music of silence When silence is a very important factor,..
4-channel amplifier Multi-channeling is what it does best ! Not even size is reason enou..
2 x 750 W RMS/4 Ω - 2 x 500/8 Ω amplifier	High-performance amplifierPerfect sound qual..
2 x 900 W RMS/4 Ω - 2 x 600/8 Ω amplifier	High-performance amplifierPerfect sound qual..
2 x 450 W RMS/4 Ω - 2 x 300/8 Ω amplifier	High-performance amplifierPerfect sound qual..